Shoreline Fruit Announces New Investment in CherryFlex, Inc.
Traverse City, Michigan – February 6, 2018 --- Shoreline Fruit, a grower, processor and marketer of tart cherries and other fruit-based products, announced today a new investment in CherryFlex Inc., an innovative leader in the development of whole fruit processing technologies for use in ingredients and supplements. Corey Geer, Shoreline’s current CFO who will manage CherryFlex Inc., said the investment will give the company additional strength for its growing line of nutraceutical and supplement products. "The investment complements and expands our line of products in areas where we envision future growth for the fruit industry," said Geer. "The vision that Bob and Janet Underwood, the CherryFlex® founders, had when starting their company is a shared one, and we plan on continuing their innovations. We look forward to a new chapter in the growth and expansion of CherryFlex® products, processes and people." CherryFlex Inc. is co-owned by Steve deTar from Brownwood Acres located in Eastport, Michigan. Brownwood carries a number of CherryFlex® branded products under their FruitFast® banner. "Shoreline brings a wealth of fruit processing experience to the company and I’m excited to build our partnership long-term," said deTar. Longtime partners of Mr. deTar, the Underwoods are retiring and have sold their interest in the company. The Underwoods said they are pleased to be able to transition their ownership to a company like Shoreline. "We’ve known the Shoreline founders for years, and like us, the Gregory and Veliquette families grew up in the fruit industry. We’re excited they will advance and expand the products we’ve developed," said Bob. "With Shoreline Fruit, we respect and appreciate their history, philosophy and vision for the future, and are confident they will continue to advance the quality and development of health-giving products." Headquartered in Traverse City, Michigan, Shoreline Fruit is an innovative, vertically-integrated grower owned, processor, and marketer of premium cherry products and other dried fruits. 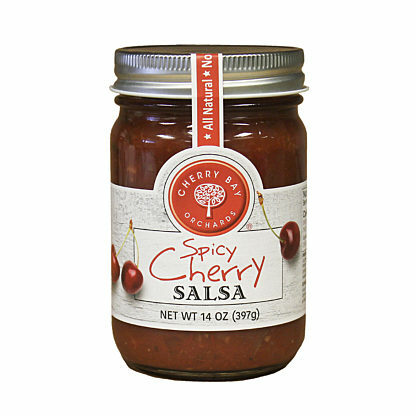 Shoreline is one of the world’s largest producers of dried tart Montmorency cherries and cherry concentrate. 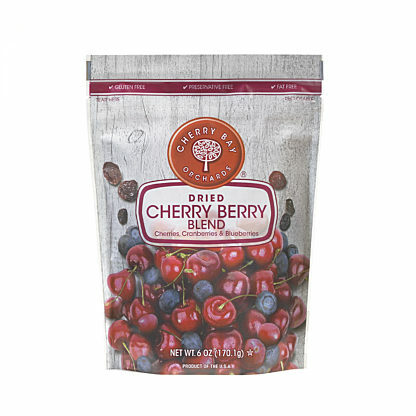 Shoreline also offers a broad selection of other premium dried fruits and tart cherry-based nutraceutical products to consumers under their Cherry Bay Orchards® and CherryPURE® brand names to retail and specialty food marketers and distributors around the world. From our orchards to the consumer, Shoreline is committed to quality, innovation, and sustainability. For more information about Shoreline’s products and services, please visit www.shorelinefruit.com. Bob and Janet Underwood spent their entire careers as fruit farmers on Old Mission Peninsula in northwest Michigan, having grown and processed Montmorency red tart cherries for over 50 years. They operated the well-known Underwood Orchards and Farm Market for 40 years, before inventing and manufacturing a line of fruit products designed to improve the quality of life for people and their animals. Bob Underwood has been a cherry industry leader with a strong loyalty to the farming community, evidenced by his continuing involvement and innovative spirit. For more information, please visit www.cherryflex.com. Over five generations, Brownwood Acres has developed an internationally recognized product line based on the best super fruits. The business began in 1945 as a roadside market selling honey and produce from our family farm. Steady growth ensued and our company won a coveted spot on the Inc. Magazine list of the 500 fastest growing privately held companies in the United States two years in a row. In 2007, Brownwood Acres leveraged it’s offerings by acquiring a 50% ownership interest in Underwood Orchard’s CherryFlex® business. 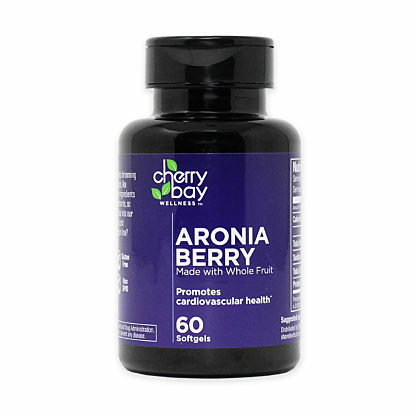 Products include our CherryFlex® line, FruitFast® Softgels, Fruit Liquids, Bars, Shots and Gels. For more information, please visit www.fruitfast.com.